The ancient Incan people are people we can learn so much from, even now. While we are still trying to figure things out bits and pieces of who they were can be found all around us. For those who do not know, the Inca were South American Indians who during the time of the Spanish conquest ruled an empire of their own. Within 100 years time they had managed to gain control of the Andean population of about 12 million and their history is mostly known through being passed down orally. They left no written records of their past and so, we struggle to really understand them. You can learn all about the Inca people by clicking here. They were quite fascinating and still have descendants even now. One interesting thing about them that we are going to go over now is their use of water. They used water to make whistles and so much more. 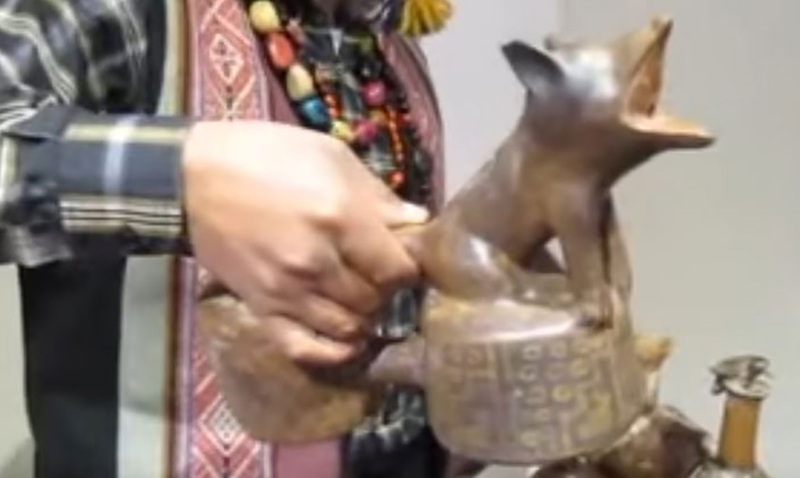 A whistling vessel known as the ‘Peruvian Whistling Vessel‘ is something that even now is quite mind-blowing. The PWV is basically a tool they used to through the flow of water mimic different animal calls. Jose Vitancio Umeres is an expert with these instruments and has appeared in many videos going over how to use them and then demonstrating. While his instruments are replicas/reproductions they are still quite amazing. Take a look at the video below to see Umeres with his instruments. The way the air contained in these expels because of the flow of water makes up the sound you end up hearing. If the duct is wide the call will be more continuous and i.f it is not there may be ripples in the water. This kind of thing is a lot more ‘touchy’ than you might think. It is a real art in many ways. What do you think?